Our range of products include truck bearings, truck hub & insert units, daf truck bearings, bearings for man truck and buses, heavy duty trailer axle bearings and bearings for volvo truck and buses. We introduce ourselves as a prominent manufacturer and supplier of an extensive array of Truck Bearings. The offered product range is manufactured with premium grade material and latest technology in compliance with the set of universally accepted norms of quality. Apart from this, our offered product range is widely valued by our patrons for their excellent quality & easy usage. Owing to the expertise of our skilled and experienced professionals, we are able to offer an extensive range of DAF Truck Bearings. Widely installed in trucks for carrying large inventory, these truck bearings are designed under the strict direction of the industry experts. 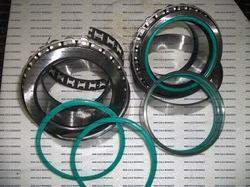 The offered truck bearings are inspected on various quality parameters in order to deliver a flawless range. Our exclusive truck bearings are highly acclaimed for their rugged construction, anti-corrosion finish and optimum strength. With the help of our professionals, we have been able to offer our clients a qualitative range of Bearings for Man Truck and Buses. Installed on truck & buses, our bearings are designed using top grade material and leading technology. 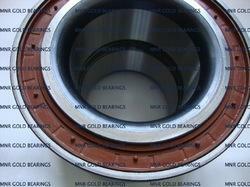 These bearings are checked on numerous parameters of quality in order to assure the flawlessness. 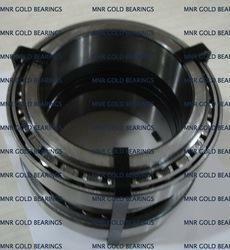 Along with that, these bearings can also be customized as per several specifications from our clients. 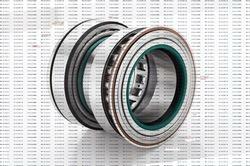 We are also offering these bearings at market leading prices. 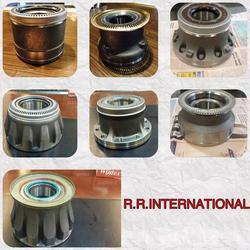 Due to our expertise, we have been able to offer our clients an excellent quality Heavy Duty Trailer Axle Bearings. 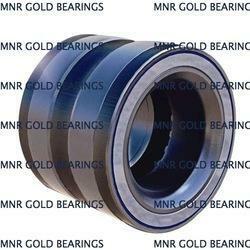 Offers high strength and long lasting functionality with stability under pressure and weight, the offered axle bearings are provided in customized options, which are manufactured utilizing top grade material with the help of latest technology. 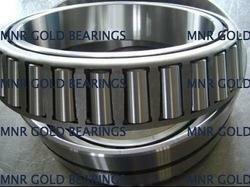 The axle bearings offered by us are quality tested on various quality parameters for assuring its flawlessness. In order to meet the huge market demands, we are involved in offering best quality of Taper Roller Bearings for Hino Trucks & Buses. The offered Taper Roller Bearings for Hino Trucks & Buses are extensively used for supporting axial forces equally in both direction of bearing. Leveraging on the skills of our professionals, we are involved in offering best quality of Bearings for Nissan UD Truck & Buses. These Bearings for Nissan UD Truck & Buses are manufactured by our experienced team of professionals by using advance technology machines and tools. 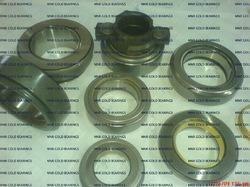 The offered Bearings for Nissan UD Truck & Buses are easy to use. 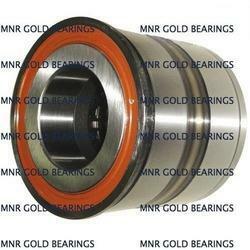 Clutch Release Bearings We offer all kinds of clutch release bearings for trucks such as Mercedes Benz, Man, Scania, Volvo, DAF, Tata, Renault, Ashok Leyland, Nissan, Hino and all kinds of trucks & trailers. You can provide us the SACHS part number or original part number.